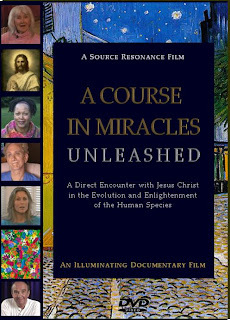 "A Course In Miracles Unleashed" is the first major feature-length movie, based on the ideas and message of A Course In Miracles. More than 100 individuals from all over the world tell this most exciting story of their very real physical, mental and emotional transformation through forgiveness and love, bringing about a radical shift in how they feel about themselves. They recognized who they really are. 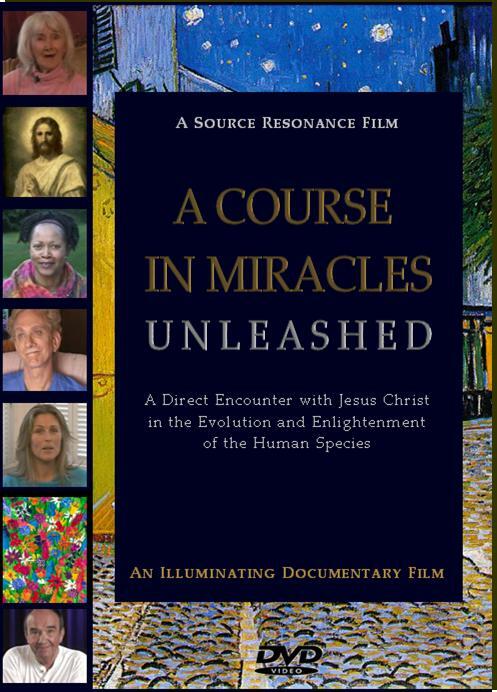 The film reveals the process of the miraculous adventure of awakening and Self-discovery as it is "experienced and communicated by many of those who were awakened by the revolutionary mind training program of Jesus Christ in A Course In Miracles." A Direct Encounter with Jesus Christ in the Evolution and Enlightenment of the Human Species. This film presents a teaching which challenges the viewer's assumptions about himself at the most fundamental level, and directs him to his own personal need for the transformation of his mind. It acts as a catalyst for the viewer, in his own self identity of space / time, to undergo the experience of enlightenment necessary to fulfill his inevitable purpose for living, the most ancient quest of discovery– to remember that he is whole and perfect as God created him. "The name of Jesus, is the name of one who was a man but saw the face of Christ in all his brothers and remembered God. So he became identified with Christ, a man no longer, but at one with God. The man was an illusion, for he seemed to be a separate being, walking by himself, within a body that appeared to hold his self from Self, as all illusions do. Yet who can save unless he sees illusions and then identifies them as what they are? Jesus remains a Savior because he saw the false without accepting it as true. And Christ needed his form that He might appear to men and save them from their own illusions. In his complete identification with the Christ – the perfect Son of God, His one creation and His happiness, forever like Himself and One with Him – Jesus became what all of you must be. He led the way for you to follow him. He leads you back to God because he saw the road before him, and he followed it. He made a clear distinction, still obscure to you, between the false and true. He offered you a final demonstration that it is impossible to kill God's Son; nor can his life in any way be changed by sin and evil, malice, fear or death."